You deserve a getaway; especially given the exhaustion that comes along with caring for your adorable, energetic kid(s). Some rest and relaxation are in order, but how on earth can you even think about escaping when you’ve got a little one to look after?! It’s undoubtedly a full-time job being a parent, and traveling with kids might seem daunting, but today is your lucky day. The staff at BOB has found the best options for child care services near Breck, enabling you to enjoy your getaway while the kids get some amazing and educational experiences in the Rockies. Resort Sitters will even babysit at your location. Known for accommodating most anyone’s schedule and bringing awesome activities that are age appropriate, these sitters will leave your little ones happy and ready for a nap by the time you get them back. Score! Mountain Sitters, LLC has almost two decades of experience with caring for little ones in Summit County. They are registered and certified with the state, have sitters ready to go every day of the week (who are CPR certified) and are known for finding fun and educational activities to keep the kids happy and busy. Care.com offers a plethora of certified, affordable and locally reviewed Child Care Specialists for you can choose from, along with easy scheduling tools for simple and quick online reservations. Carriage House Early Learning Center in Breckenridge is known for their topnotch child care services and experienced teaching professionals, so rest assured that your kids are in great hands. They offer flexible pricing options, ranging from half to full days, as well as cost-saving packages that span up to five days. What’s left to do but pack your bags and get on the road to Breckenridge? Don’t forget to call ahead to secure childcare, so the kids can play while you enjoy your stay. We’re looking forward to having you out here for some fun, freedom, and festivities in the near future. What are you waiting for? 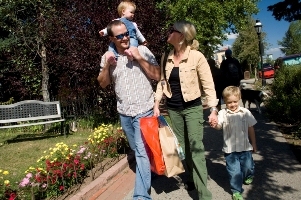 Book your stay today at www.breckenridgediscountlodging.com for the ultimate accommodations with the lowest prices. https://www.bestofbreck.com/wp-content/uploads/2018/10/Friday-October-26-2018-1.jpg 1500 1500 Nicole DeCesare https://www.bestofbreck.com/wp-content/uploads/2015/08/logo-332x156.png Nicole DeCesare2018-10-26 16:17:452018-11-29 10:12:57No Skis, No Snowboard, No Problem!